Canadian wine lovers are always looking to discover exciting new wines from emerging regions. A decade ago, they considered Australia de rigueur for premium wines. Recently PRAXIS opened the McWilliam’s Family Winemaker’s Cellar Door in Canada to remind them why. Winemaker Craig Stephenson took 800 young wine consumers on a tasting journey, connecting them to the compelling stories behind six generations of award winning #McWilliamsWines. 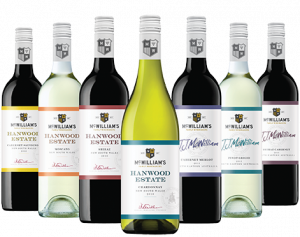 Through this dynamic liquid to lips experience that showcased the quality and diversity of one of Australia’s legendary winemaking families, McWilliam’s connected the brand with new consumers and brought premium wine lovers back to Australia.